On 8/22/12, at about 12:25 AM, a Eureka Police Department Officer on patrol attempted to contact a subject known to him, Robert Ray Wildman (age 31), in the parking lot of Winco Foods. Wildman was on active CDC parole for burglary. 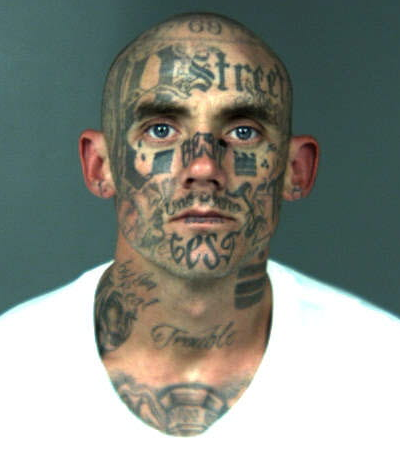 He was also a heavily tattooed, documented member of a local criminal street gang. Wildman fled in a vehicle (a gray 1998 Jeep Grand Cherokee) and an approximately 41 minute/36 mile pursuit ensued which ended in the Trinidad area. The pursuit reached speeds up to approximately 70 MPH on the highway. At about 12:58 AM, an EPD officer successfully deployed a spike strip at Highway 101 and Murray Road which disabled Wildman’s car. Wildman’s vehicle eventually lost its front right tire causing it to ride on its rim. The pursuit ended on Highway 101 around mile marker 99.43 when Wildman’s Jeep was no longer able to continue driving. Wildman was taken into custody at gunpoint. During a subsequent search of his vehicle, officers located a Norinco SKS assault rifle, approximately 20 grams of suspected tar heroin, and nearly $8,700.00 cash. During the pursuit, officers also saw Wildman throw another firearm out of his vehicle. This occurred around the first span of the Samoa Bridge. 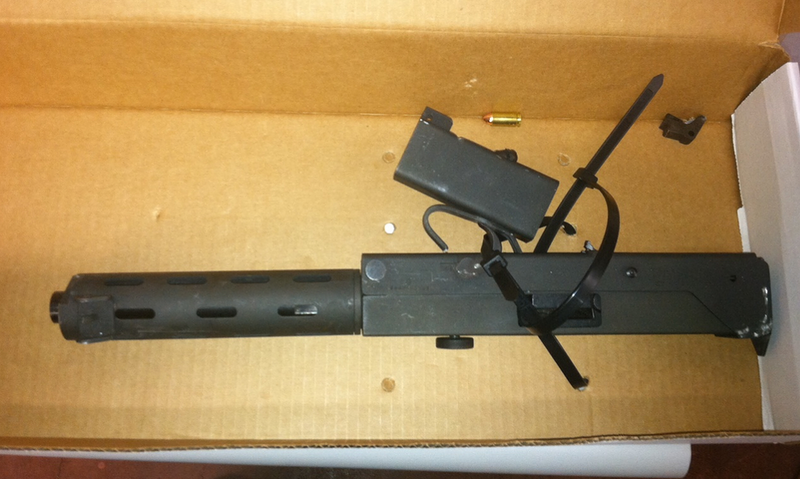 The weapon, a SWD Industries “M-11 Nine” 9mm auto pistol, bounced off the railing and was recovered by officers. However, its detachable magazine fell into the bay. 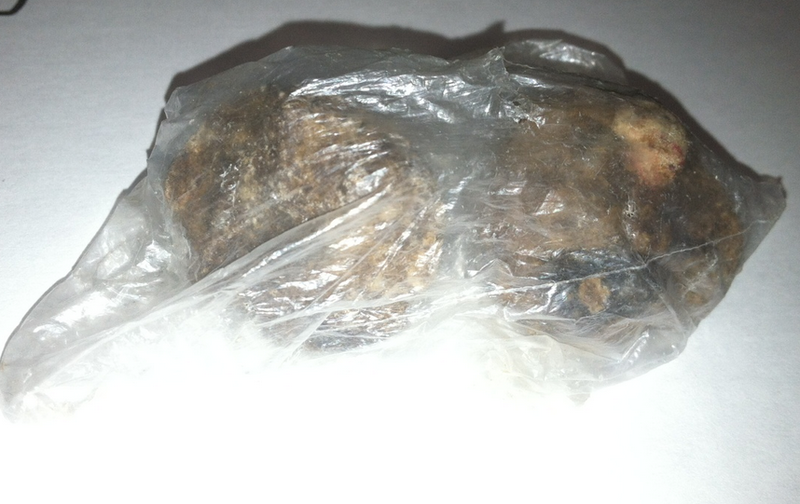 A single 9mm bullet was recovered with the M-11 leading officers to believe it may have been loaded. (The M-11 is a compact, high capacity, rapid fire weapon similar in appearance to a “Mac-10” or “Uzi”).